Haggar Clothing Co. and its affiliates (collectively, “Haggar”) respect your concerns about privacy. This Privacy Notice applies to personal information we collect (i) on this website, (ii) at Haggar Outlet Stores, Haggar Stores, and Haggar Factory Stores (collectively, the “Stores”), and (iii) through the other channels described below. Haggar is responsible for this website. 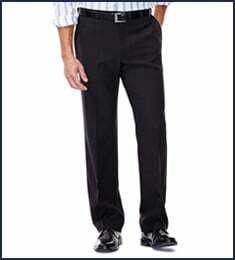 You may be able to purchase Haggar products on this website. To process your purchase, we ask for information such as your name, billing and shipping address, telephone number, email address and payment card information. We use this information to process your purchase, confirm your order and deliver the items to you. If you give us permission, we also may use your contact information to communicate with you about our products, services and promotions. If you purchase an item on this site or ask us to deliver your purchase to someone else, we ask for the recipient’s name, postal address and email address. We use this information to send the item to the recipient. If you ask us to do so, we also may use this information to notify the recipient of your gift before it arrives. You may be able to sign up on this site to receive electronic newsletters and promotional emails from Haggar, including new ideas, special offers and event information. To sign up, we may ask you for information such as your name, email address, postal address and telephone number. We use this information to send you communications about our products and services, invitations to specials sales and events at Stores located near you, and notices of new arrivals. We also use this information to tailor our newsletters to reflect your preferences. You can choose at any time not to receive marketing emails from us by clicking on the unsubscribe link within our marketing emails. If you communicate with us through the "Contact Us" or “Chat” link on this site, we may ask you for information such as your name, email address, zip code and telephone number. We use this information to respond to and communicate with you about your questions and comments. We may use information collected through these automated means for purposes such as (i) customizing our users' visits to our website, (ii) delivering content tailored to our users' interests and the manner in which our users browse our sites, and (iii) managing our sites and other aspects of our business. To the extent required by applicable law, we will obtain your consent before collecting information using cookies or similar automated means. We also may use third party web analytics services, such as Google Analytics, to measure the effectiveness of our advertising and determine how visitors use this website. These service providers’ tools, including cookies and web beacons, allow us to collect information such as the state and zip code from which our visitors come and the IP addresses of our visitors' computers. To opt out of aggregation and analysis of data collected by Google Analytics, please click here. You may see certain ads on other websites because we work with advertising companies (including advertising networks) to engage in remarketing and retargeting activities. Our advertising vendors allow us to target our messaging to users through demographic, interest-based and contextual means. These vendors track your online activities over time and across websites by collecting information through automated means, including through the use of third-party cookies, web server logs, and web beacons. They use this information to show you advertisements that may be tailored to your individual interests. The information our advertising vendors may collect includes data about your visits to websites that participate in the relevant advertising networks, such as the pages or advertisements you view and the actions you take on the websites. This data collection takes place both on our website and on third-party websites that participate in the ad networks. This process also helps us track the effectiveness of our marketing efforts. Our products are available for sale in many department stores. 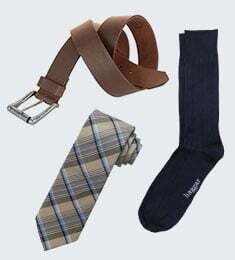 Personal information collected in these department stores is not provided to Haggar Clothing Co. This Privacy Notice does not address the information practices of department stores in which our products are sold. Department stores may have their own privacy notices or policies, which we strongly suggest you review when you provide them with your personal information. We are not responsible for the department stores' personal information practices. We do not sell or otherwise disclose personal information about our customers, except as described here. We may share the personal information you provide to us with our affiliates, licensees and joint venture partners for the purposes described in this Privacy Notice. We also may share the information with our service providers who perform services on our behalf based on our instructions. These service providers are not authorized by us to use or disclose the information except as necessary to perform services on our behalf or comply with legal requirements. This website may contain links to other sites for your convenience and information. 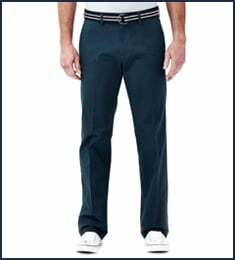 These sites may be operated by companies not affiliated with Haggar Clothing Co. Linked sites may have their own privacy policies, which we strongly suggest you review if you visit any linked websites. 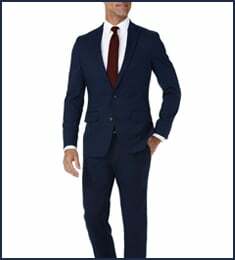 We are not responsible for the content of any websites that are not affiliated with Haggar Clothing Co., any use of those sites, or the privacy practices of those sites. You can choose not to receive marketing communications from us by clicking on the unsubscribe link in our marketing emails. Our website is not designed to respond to "do not track" signals received from browsers. This website is not directed to children under the age of thirteen, and we do not knowingly collect personal information from children under the age of thirteen on the site. If we become aware that we have inadvertently received personal information from a visitor under the age of thirteen on this site, we will delete the information from our records.